He began as a saddle maker, taught dancing lessons in Colonial America, completed mezzotints in London, and served as an officer in the Continental Army during the American Revolutionary War. He also became one of the most prolific artists of his era. 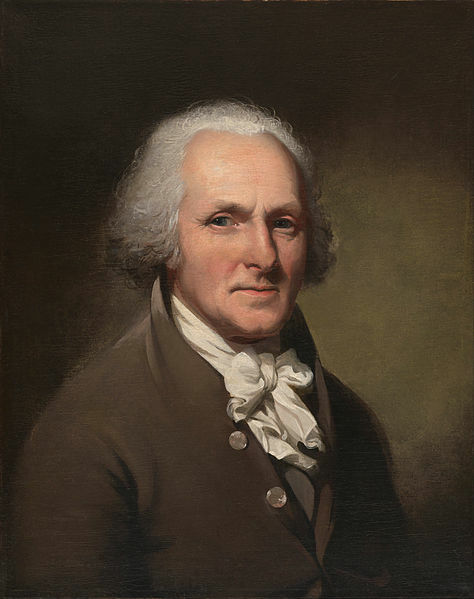 Yet despite this background, the name Charles Willson Peale is not one immediately familiar to those outside the circles of American art history. However, it would be difficult to overstate his artistic prominence in the United States during the decades surrounding the turn of the nineteenth century. 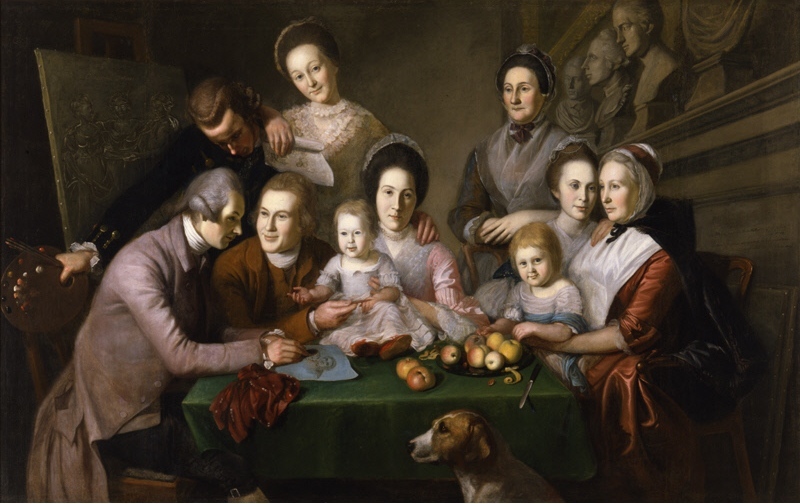 Without doubt, Peale rests in the pantheon of American portraitists. He painted the social, political, and economic elite of his day: these sitters included scientists, presidents, and prominent merchants. 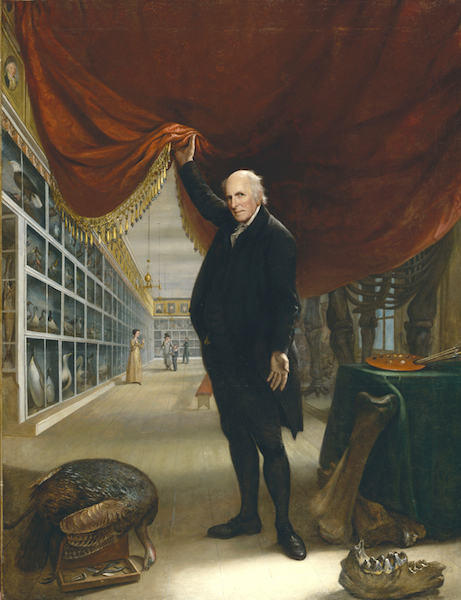 Even had he never picked up a paintbrush, Peale would be remembered today for founding the first museum of natural history in the United States. This museum officially opened on 18 July 1786, and collecting, classifying, and exhibiting objects occupied nearly the entire Peale family for many a decade to follow. Without doubt, art and nature were Charles Willson Peale’s great passions in life. Peale went so far as to name children after prominent artists and famous scientists. These names include Raphaelle, Rembrandt, Rubens, Titian, Angelica Kauffmann, Linnaeus, and Franklin. For Peale and other Enlightenment-era thinkers, the human mind was able to both learn and understand the world around them through observation of the natural world. In many ways, this approach was antithetical to the religious views of the day that asked followers to accept facts on faith rather than verifiable proof. Enlightenment thinkers often attempted to explain the world in a way that removed the word “God” from the equation (or, at the very least, in a way that reduced the Divine Almighty’s direct role). One example should suffice. For millennia, the appearance of a comet in the night sky—something both easily noticeable in the pre-streetlight world and something of uncommon occurrence—was cause for great concern and wonderment, and people often had a variety of explanations for these celestial events. For example, in 1378, a comet appeared at the moment a great pestilence swept through Germany. That same year, the Great Schism ripped the Roman Catholic Church in two, creating a papacy in Avignon, France in addition to the one at St. Peter’s in Rome. The appearance of this unknown object in the nighttime sky was seen as an indication that God was not happy, and the disastrous events that followed reaffirmed this belief. 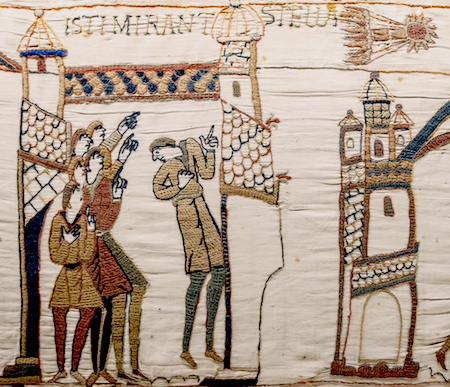 Interestingly, 312 years earlier, a similar object appeared in the nighttime sky. The year was 1066, a date in history that is most well known for the year when William the Conqueror of Normandy crossed the English Channel and successfully seized the English throne. To commemorate his great victory, William commissioned the great Bayeux Tapestry, a 230-foot-long embroidered cloth that chronicled his army’s campaign. One of the more famous scenes from this immense work of art shows a comet flying overhead of the soon-to-be deposed King Harold (image left). The Latin inscription above the six men who point heavenward reads, “They find the star.” This star means bad news for Harold, but, more importantly, it means good news—and a kind of Divine favor—for William. Science tells us now that this was no star. Moreover, it was not a sign that God was angry (pestilence upon you! ), or that God was happy (I would be pleased if you were to sail across the English Channel and take over the English throne!). Instead, this was the same hunk of cosmic ice that returned to Earth every 76 years (give or take). We call it Halley’s Comet after Sir Edmund Halley, the man who correctly predicted its return. Rather than believe the comet was a sign of divine approval or reproach, Halley instead applied the celestial mechanics of another Enlightenment thinker, Sir Isaac Newton, to predict the comet’s reappearance. Alas, Halley died in 1742 and the comet that would be named for him did not make its way back to Earth until 1759. Although a three-paragraph digression, it is through this lens that we must consider Charles Willson Peale’s most famous—and some might suggest, his most ambitious—work, The Artist in His Museum. 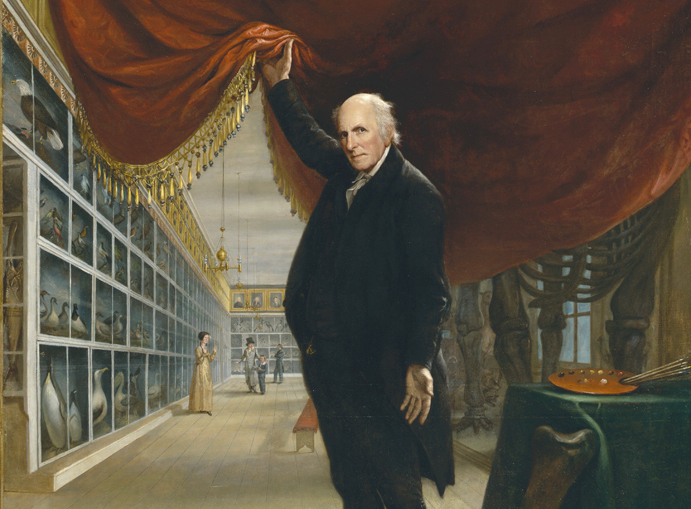 Painted towards the end of his life—Peale turned 81 years old the year it was completed—this monumental canvas is a kind of life story for the artist, and identifies him not only as the artist who made the painting, but, as importantly, the scientist who founded the museum that bears his name. Like most artist’s self portraits, this likeness speaks for what Peale believes was important about himself and what was important about his life’s work. Peale stands in the foreground, smartly dressed in a black velvet suit and white cravat. A dusting of powder from his hair—he does not wear a wig—can be seen on his left shoulder. He alertly stares at the viewer and with his right arm he lifts up the red Grand Manner drapery to reveal the museum behind him. What was the “Grand Manner”? With his left hand he seemingly gestures to the objects in the foreground. These objects tell us much about Peale himself. They include a stuffed turkey—which Benjamin Franklin believed should be the national bird of the United States—and the taxidermist tools used to preserve it. Atop the table on the right side of the painting rests a painter’s palette and several paintbrushes. Large fossilized bones from a mastodon (a jawbone, and a femur, perhaps) can also be seen on the right side. These objects—stuffed bird, painting tools, and excavated mastodon—serve as a kind of visual representation of Peale himself. The room behind Peale is no ordinary room in Philadelphia. It is, in fact, the famous Long Room of what we now call Independence Hall, and it is filled with elements that announce Peale’s commitment to the Enlightenment. The left hand wall and that in the back of the room are filled with stuffed birds that Peale has organized according to the Linnaean classification system. Portraits of eminent men—many of whom were Peale’s friends and correspondents—can be seen near the ceiling. Clearly, this natural history museum provides an opportunity for learning about nature. A top-hat wearing gentleman walks with his young son and gestures to a display in front of them. Another man stands towards the back of the room with crossed arms and thoughtfully examines a specimen. The fifth person in this painting—a woman who wears a dress and a Quaker bonnet—stands in the left middle ground. She faces the right side of the painting and her facial expression and gesture reveal a sense of wonderment. What has caught her amazement is not immediately apparent, as Peale has concealed it behind the curtain. On closer inspection, however, it is clear that in the middle of the room is the mastodon skeleton Peale and his family excavated and reconstructed earlier in the nineteenth century. Her reaction indicates that nature can not only teach, it can also provide awe. There is no doubt that Peale was an artist, but he believed that his artistic endeavors were only one part of his long professional life. His The Artist in His Museum, painted near the end of his life, is a kind of visual epitaph for his life. The Baroque architect Sir Christopher Wren is buried in St. Paul’s Cathedral in London, his most famous project. His epitaph reads, “Si monumentum requires, circumspice”—If you seek his monument, look around. The same is true of Peale’s most famous painting. At the end of his life, he used this painting to announce his position as portraitist, naturalist, museum curator, and an important member of the American Enlightenment. It is, in a fashion, a monument not only to the man, but to an outlook that was shaped by the Enlightenment. Cite this page as: Dr. Bryan Zygmont, "Charles Willson Peale, The Artist in His Museum," in Smarthistory, January 21, 2016, accessed April 20, 2019, https://smarthistory.org/charles-willson-peale-the-artist-in-his-museum/.